My father had moved to the area about a year before and quickly become entrenched in the logging community largely made up of young people who liked nothing better than a good party. Three of my siblings also decided to spend the winter in the neighborhood and it turned into ten months of good 21-year-old times. By spring, the party was winding down and my siblings and I were all feeling the urge to move on. Dad wanted us to stay and he knew my weak spot, or thought he did. I was away visiting a friend when he called me to ask if I wanted a horse. Well, no, I didn’t. I was moving, remember? Well, some guy had some work done and wanted to pay the bill with a horse he had for sale. 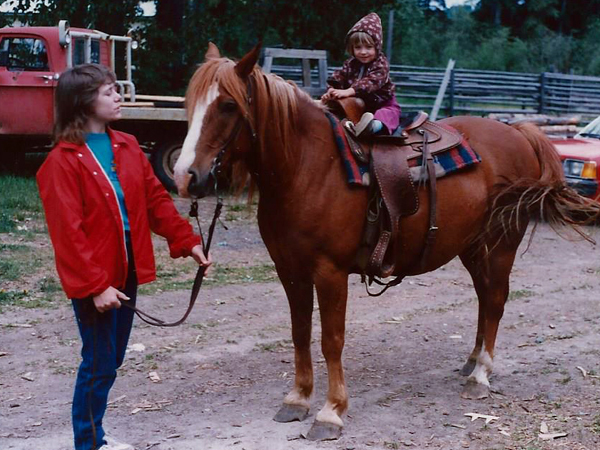 Well, no, I still didn’t want a horse. I didn’t want anything that wouldn’t fit in my car. I arrived home and what do I find in the pasture of the house Dad was renting? A horse, of course. Bob. 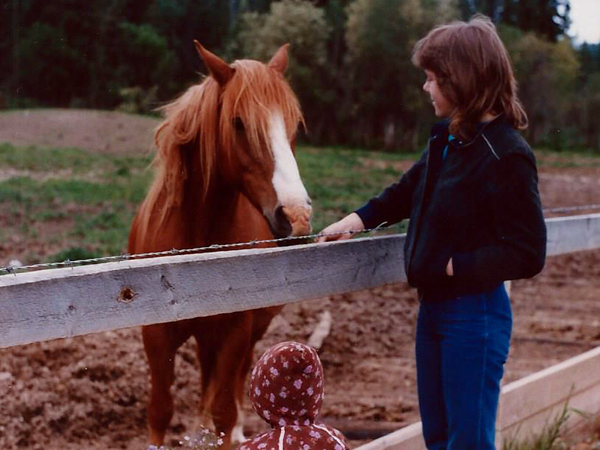 Now Bob was pretty adorable, a pony rather than a horse, with a huge head of hair and a shiny chestnut coat. He’d come from a farm not too far away and constantly paced the fenceline looking off in that direction. By the next morning, he’d made his escape, crawled under a low bit of fence, or so it seemed. We fixed up the fence and brought Bob home. Overnight, he again found his way out, this time managing to slide the rails in the post and rail gate. Okay, secure the rails to the posts. He stayed in his enclosure for a few days this time, long enough for me to take him for a ride down the road and give pony rides to my young cousin, Natalie, who was visiting. But Bob would not be contained, and I think he might have been bucking for a name more befitting of his clever self. Again, in the night, he got out and, this time, we couldn’t sort out how. He was far too short to go over and too fat to go under. That day he earned his new name … Houdini. 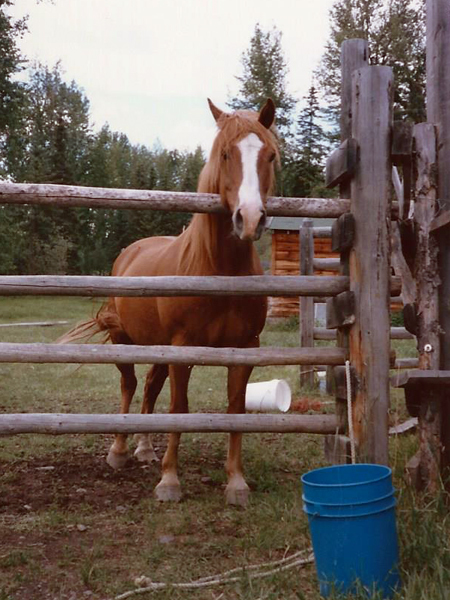 I stayed around long enough to find Houdini a new home, but by mid-July I was on my way south, and east as it turned out, back to the land of many horses … Alberta!